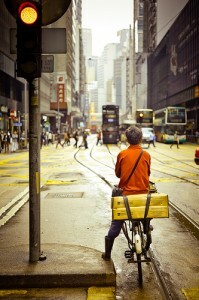 14So you’ve just arrived in Hong Kong and are wondering what to do next or where to go to. As in any other country Hong Kong has its own particular custom and foibles so you have to tread that little bit carefully until you are used to living there. Being a combination and fusion of Eastern and Western culture Hong Kong is constantly full of people and there is also a lot of noise as well as a vibrant and throbbing culture throughout the place. One interesting feature is that since it was a former British colony there are quite a few buildings from the colonial past to admire. You probably already know that Hong Kong is an independent country although it is now a Special Administrative Region of China so even though you can’t really see them, there are some restrictions around. Expats who live there continually sing its praises however so there must be something about the place after all. It seems that eating out is pretty pricey so if you decide to sample the eats then make sure you have your wallet at hand. You can actually get quite a sumptuous three course meal for a cheap price that’s comparable to a cappuccino in Florence in some Asian countries. However you won’t be finding that in Hong Kong so make sure you have your cards available. A definite don’t is not to spit in public in Hong Kong. There are signs all over the place and apart from that you can be walloped with a fine of up to 5,000 HKD. You should also take note of the humid and sweaty weather so don’t walk about too fast especially in summer since you will end up soaking wet and frustrated. And since there are crowds moving around constantly in Hong Kong try and make sure that you don’t get lost if you are with someone else since it is pretty easy if you lose your attention. It is also extremely hot in the summer months of July and August in Hong Kong so try and avoid coming here in this period. So if you’re running around the world living the life of a tax nomad, make sure you avoid Hong Kong in July and August and find some other place to live the summer out. However if you really have to be here don’t forget to bring a jacket with you (this is not a joke) since the indoor temperature conditions are usually close to freezing point due to the air-conditioning levels which are kept extremely low. Being a rather small country packed with sounds and sounds, Hong Kong is quite a lot to take in. You may encounter a few revolting scenes especially when it comes to shoppers and butchers plying their wares in the open markets so try and look the other way and not be too squeamish about it. You’ll get used to it! Hong Kong’s cuisine is also very particular but you should avoid some of the local delicacies such as chicken feet which are apparently not too good at all. Pizza here is also nothing to write home about especially with some of the over exotic toppings so you should really stick to your traditional types of food if you can find them – there are quite a few cosmopolitan restaurants around anyway. Language is important here and you really should invest in some time to learn Cantonese. Apparently although English is quite well spoken in Hong Kong, taxi drivers do not speak it that often so you might be a little bit stuck if you want to get home in the middle of the night. Try and muster a few words or sentences and the quality of service you get from everyone will improve substantially. A queer foible which you should procure if you are in Hong Kong is what they call and Octopus Card. This is a sort of cash card with which you can buy food and drinks in most establishments. You can get one at an underground or metro station and it only requires an HKD 50 as deposit. Some of the stores which accept it include Seven Eleven and Circle K. And you should also haggle when buying something with the best trick being complete indifference shown to those who attempt to sell their wares. There’s also so much to see in terms of sights so these are definite do’s. The Peak is definitely the first on your list followed by the Big Buddha which you can get to by boat or bus and return by spectacular cable car. There are also a number of markets such as Stanley Market which is good for top class souvenirs; a market for jade stuff such as Temple Street Night is also intriguing. Other markets include Jade Street and the Ladies. You can also go on the Star Ferry which is one of the most popular in the world and which takes you to Kowloon. The Ozone Bar is also something which you cannot really miss, It is located on the 118th floor of the Ritz Carlton Hotel and is the highest bar on the planet. So make sure you go there and sip your drink as you take in the incredible and spectacular views.